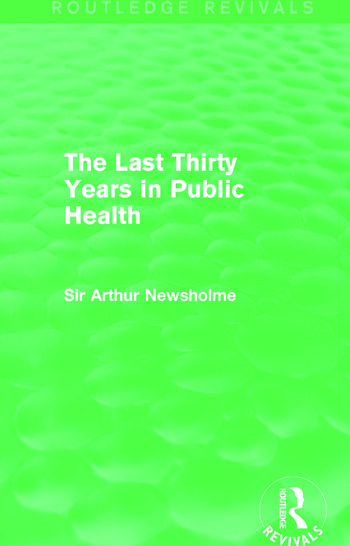 First published in 1936, this book is a continuation of Sir Arthur Newsholme’s Fifty Years in Public Health and covers a wide variety of topics in relation to the subject. It is in part autobiographical as the author recollects and reflects upon his experiences of the system. The book is divided into two main periods, 1908-19, when Newsholme was the head of the Medical Department of the State’s Central Health Organisation, and from 1919 to 1936, when he no longer held an official position but had the freedom and time to examine both public health and social activities. Topics explored include the administration of public health, insurance for medical care, child health, The Great War, tropical medicine and American pioneers in public health.